We have stand / booths at between 15 & 20 exhibitions each year. The reason for our attendance at these European shows is to recruit distributors, VAD’s, resellers, VAR’s and system integrators, who we keep informed using our digital magazine, e-newsletters & website as a free service. 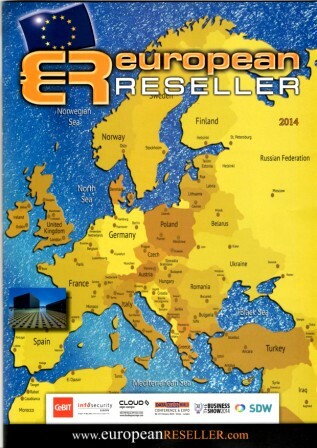 We distribute up to 1,000 copies of European reseller Printed magazine at each show. 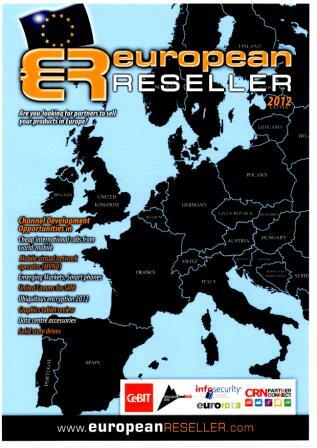 The content of the magazine, E-Newsletters & website covers business models and business opportunities, presenting new products and services available in the EMEA region, giving vendors, distributors and resellers an obvious and easy opening to develop new revenue streams with their existing client-base, discussing ROI and highlighting the reseller opportunities. The editorial covers all aspects in the Data Centre's, Cloud Computing Web Services, Infrastructure, Voice & Data, Hardware, Software, Storage, Security, Networks and Imaging solutions.In the Financial, Manufacturing, Telecoms, Business management, Logistics, Pharmaceuticals, Oil & Gas, Retail and Office markets. Our global experience and in-country partners enable us to provide a cost effective business expansion service for companies looking to grow their sales nationally and internationally. European Reseller has applied its skills to building highly effective international organisations, establishing and developing international sales and marketing teams, managing and launching new technologies and strategic planning. Our services are tailored to our clients needs blending the establishment of a solid strategy with in country execution delivering rapid market coverage and revenue growth. If you are looking for IT resellers in EMEA, we can do this for you. 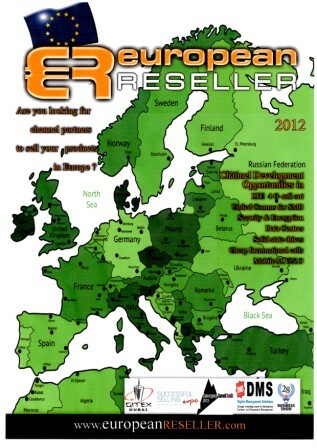 European Reseller is an organisation to recruit resellers and distributors in EMEA, either as an out sourced service to build an active channel network or to raise the awareness of your company or products through our magazine, newsletter & website. Clients / advertisrs are able to submit press release on a monthly basis ! Advertisments should be submitted electronically in either PDF (preferred) 300DPI minimum or EPS, Jpeg Quarke etc. Artwork can also be sent and received via FTP sites.